Global aviation is booming, the demand for pilots is skyrocketing and a global shortage for pilots is looming. However, pilot shortage varies among different regions and this is not only because of the growing numbers of passengers and airlines’ fleet. Working and living conditions also play a very important role in different regions and their numbers of pilots. Based on CAE’s Airline Pilot Demand Outlook, a significant need for pilots will be seen in the Asia Pacific region, where the traffic is surging and the airlines’ fleets are growing. Over 90 thousand of pilots will be needed in the next decade. This is happening mainly because of bolstered income levels, which create an enormous demand for air travel from middle-income households. Moreover, Asia’s market liberalization has allowed regional low-cost carriers to thrive in the region. Due to this, airlines in the East are creating amazing working conditions for pilots. Even though the US market seemed attractive to pursue a pilot career in the 20th century, but now it is quite difficult to enter because of the imposed FAA regulations for new pilots. One of the major regulations requires new pilots to log 1,500 hours before becoming a FO. Due to this long duration to become a pilot in the US, many future aviators choose other regions to start their career. What’s more, there has been a significant change in the work for US pilots when the US Congress changed the mandatory retirement age for airline pilots from 60 to 65. Unfortunately, this move has also contributed to the overwhelming shortage of pilots in the US. Given the CAE’s predicted figures, Europe also has a high demand for commercial pilots – 50 thousand of new pilots will be needed in the coming 10 years. Even though the region is growing at a slower rate because of a less significant growth in certain countries, low cost carrier business model continues to rapidly expand. Working in Europe is the best place for pilots to gain flight hours and to get an experience of operating Airbus A320 or Boeing 737 with one of European low cost operators. While the wages in this region are lower compared to the US or Asia, it is much easier for new pilots to find a job with an airline and not to struggle with insufficient flying hours. European airlines are setting ambitious plans for their fleet expansion and simultaneously looking for more pilots. 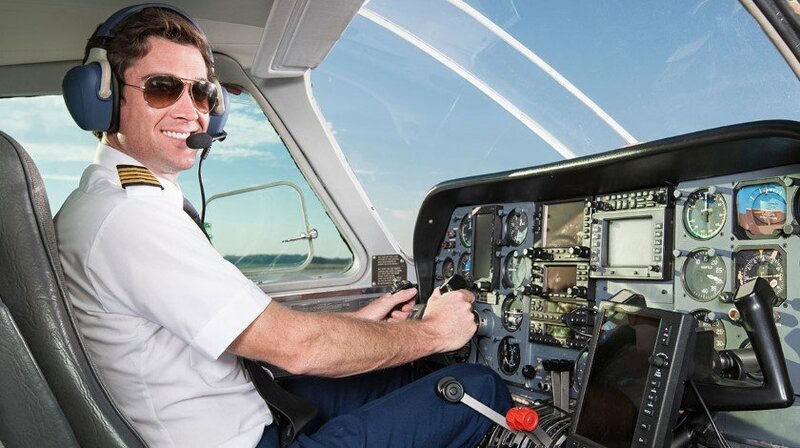 Consequently, cooperating with aviation training centres on various pilot training solutions, usually Cadet Pilot Training programs, to deal with the demand. These kinds of opportunities were not available five years ago. Therefore, many aspiring future pilots are taking advantage of pilot shortage to get a sponsorship for their training. If financing of training is one of the biggest obstacles for a future pilot, many of them could land their dream job in an easier way with sponsored training programs in Europe. There is also a growing number of financial solutions in the market which give a future aviator an access to education.